The California Teachers Association (CTA) collects money from more than 300,000 public employees in that state. Teachers and other education employees who work in workplaces with CTA chapters have had to pay dues or fees to the National Education Association, the CTA and the local chapter for decades. 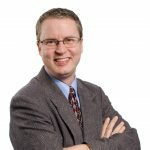 In response, the Freedom Foundation has begun taking steps to inform these educators that the U.S. Supreme Court has put them back in charge of whether they want to fund these organizations. The California Teachers Association website answers questions and prepares a form for those who wish to end their wage garnishment. Unsurprisingly, the union is doing whatever it can think of to suppress that right. For example, the union bureaucracy sends a form letter stating “CTA has received your inquiry” and informing educators to hand-deliver or mail the resignation to the local chapter president. CTA has 1,100 chapters, each with its own procedures and obscure contact information. 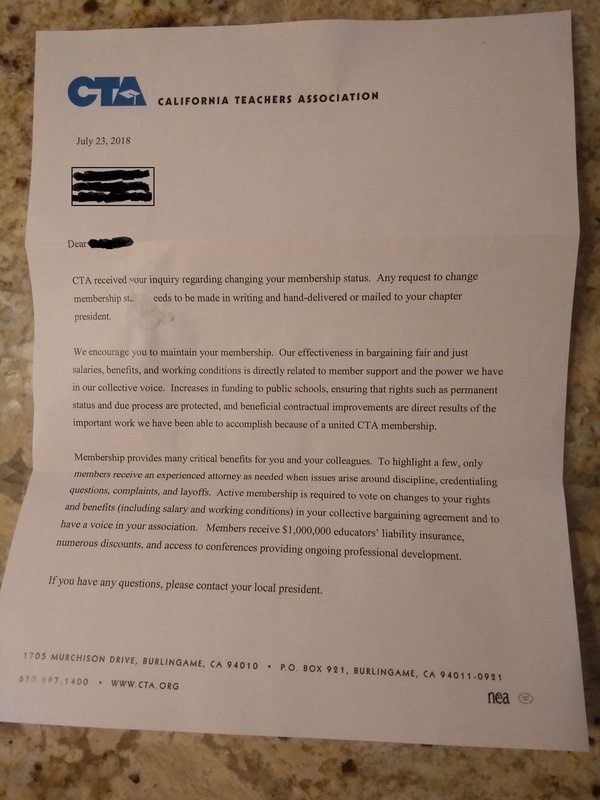 CTA handles responsibilities and forms related to membership (examples here, here, and here), but now they pretend they are unable to handle resignations. As always, the union’s priorities are crystal clear: It is a cash-grabbing juggernaut first and foremost, with little concern for the teachers. The Freedom Foundation is committed to securing the civil rights confirmed by the U.S. Supreme Court, and will fight to end this kind of obstructionism. It is unlikely that the union would tolerate the same kind of hurdles to its own campaign to encourage parents to “opt out” of standardized testing.